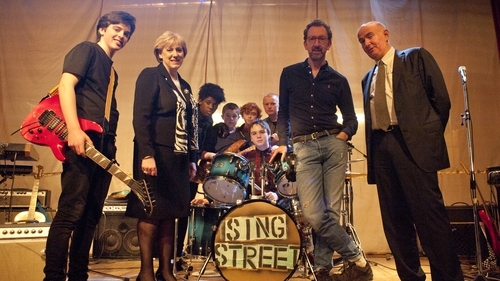 The Minister for Arts, Heritage and the Gaeltacht, Heather Humphreys, visited the set of Sing Street, the new film from Begin Again and Once director John Carney, in Synge Street CBS Schools, Dublin on Thursday October 23. Set in 1980s Dublin, Carney's Sing Street is semi-autobiographical and tells the story of Cosmo, a teenager who forms a band. It stars newcomer Ferdia Walsh-Peelo, Aidan Gillen, Maria Doyle Kennedy and Jack Reynor. Speaking on set, Minister Humphreys said: "The Irish film and television industry has continued to grow significantly and has experienced record levels of production activity over the last few years." 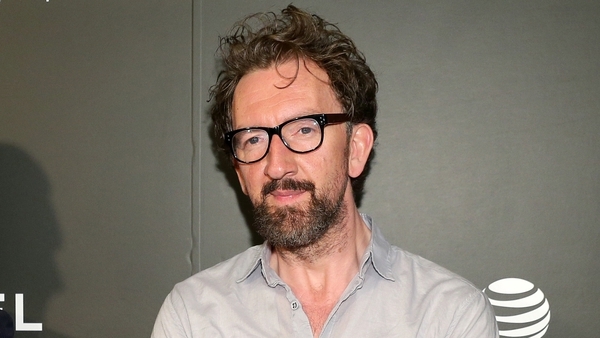 She added: "I'm delighted to see a strong number of exciting Irish feature films currently in production and it was a pleasure to experience first-hand the creative Irish work and expertise being invested in Sing Street."